That’s right, the mascot from Nitro+ is getting her very own anime series. If I’ve learned anything about my anime tastes in the past few years is that if it’s about fictional musicians, then I’m probably going to be interested in some shape or form. 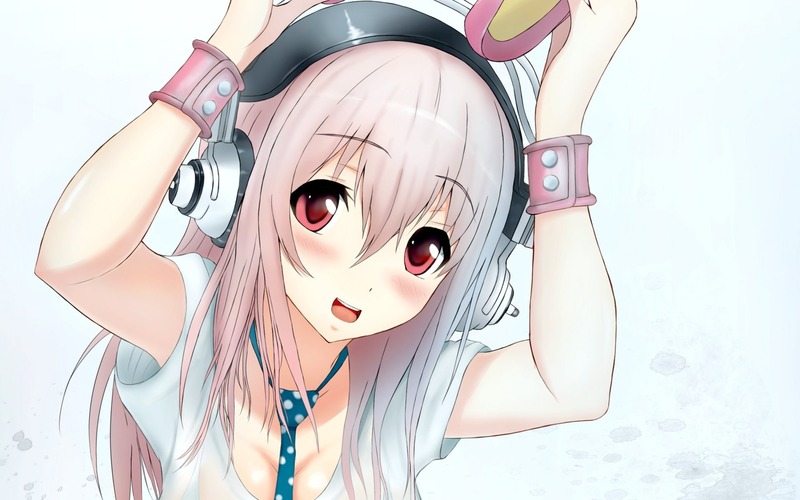 Simply titled Super Sonico The Animation, the series will probably focus on the back story that her character was given. Super Sonico’s not only a model, but also a part time musician and does this all while attending college. First of all, the fact that she’s a college student is already unique enough for me. Second of all, I have one of her albums on my computer, even though I had no idea it was her when I first got it. The album is by her three member band, Daiichi Uchuu Sokudo, in which she does vocals and guitar. Part of the reason why I’m excited for this series is to see this music in action (hopefully). It’s hard to say what kind of direction that the series will take her character, but if it’s just slice of life, I’m super fine with that.